The world is deep: deeper than day can comprehend. The Soulcraft Journey: A Mountain Pilgrimage is an 8-day backpacking intensive in the mountains of north-central Washington in a watershed where the North Cascades, the Okanogan Highlands, and the Columbia Basin ecosystems converge like great interlaced fingers of land. We will live together and travel together through the upper reaches of the tree line and the open expanse of alpine tundra, with wildflowers at our feet, wind on our faces, and the shadowy presence of lynx, black bear, and moose shaping our own animal-body movements through this wild place. We will be accompanied always, both night and day, by the great expanse of Earth’s mountainous body conjoined with the round depth of sky, and hope in turn to feel ourselves enfolded into the love affairs of stone and star, water and lichen, birdsong and thunderstorm. We will seek to open ourselves as individuals to the particular ways this mountain world longs to shape each of us; the particular styles of being it elicits in us through our days; the songs, dances, poems, prayers, feelings, and images it evokes; the unique ways it dreams each of us deeper into some wild possibility we could never expect to fully comprehend. Our intention will be simply this: to follow the mountains. You will follow the mountains in your pilgrimage closer and closer to the very heart of your own unique place of belonging in the world, that place where a great mystery softly pulses at the core of your life. We will find our way into and through this mysterious terrain with an entire bundle of Soulcraft practices tucked under our arms, but our senses will always be tuned toward the world, our attention offered outwardly, such that you may come to experience your true place in the world not as a center of isolated interior space, but as a function of your relationship with the Others – both human and non-human – that comprise the entire universe. In this way you will move toward the stone-cliff edges from which you might, if you are ripe like a pregnant fruit, fall into the mysterious depths of the world and encounter your soul ushering you in. Note: Participants can expect to dive into a number of Soulcraft practices such as soulcentric dreamwork, accessing the deep imagination, council, romancing the world, self-designed ceremony, soul poetry, and trance rhythm and movement, but we will be finding our way as we go. The general approach for this intensive is to follow what is present for individuals and the larger group in relationship with this place and all that it evokes, which can not be predicted. In this way the Soulcraft Journey is perhaps the most open-ended, spontaneously oriented intensive that Animas offers. Please note also that this is a backpacking intensive. We will meet together in town, drive to a campground at our trailhead where we will spend our first night, and then camp in the backcountry for the remaining six nights of the intensive, spread out between three backcountry camps. While we will only backpack two to three miles at most on our travel days, we will be at roughly 7,500 feet in elevation, including some moderate inclines and declines, so participants should come prepared for such a journey. In addition to their personal gear and food, participants will also share in carrying group gear and food. With guides providing the stove and pots and other cooking gear, you’ll provide your own lunches, snacks, and teas and share the responsibility for group breakfasts and dinners. This program begins at 9:00 am on July 26 and ends at 3:00 pm on August 2. Lunches, snacks, and tea are the responsibility of each participant. Breakfasts & dinners will be divided amongst the group and each participant will be responsible for a group meal. Nate Bacon‘s passion as a guide is firmly rooted in the fecund soil of our carnal reciprocity with the more-than-human world – and our inherence within that world. His work explores the intertwined and braided rivers of perception, language, and worldview with a commitment to the re-wilding of human culture. He is dedicated not only to undermining the psycho-cultural structures of our modern ways of being in the world, but also to re-membering how to feed and truly be fed by this wild and holy world that we call nature. A wildlife tracker, cultural ecologist, and writer with an M.A. in Philosophy, Cosmology, and Consciousness from the California Institute of Integral Studies, Nate brings fierce compassion and a deep love for the mysterious yearnings of soul to his guiding. Mary Marsden is a soul-guide, mentor and wilderness guide. She creatively and heart-fully invites people to be in intimate and vulnerable relationship with Nature, Soul and Spirit. Mary is gifted at guiding individuals into their dreamworlds, accessing the power of deep imagination, and supporting those who are ready and willing to be claimed by their unique, mystical relationship with the World. She guides with humor, genuine compassion, and a deeply intuitive knowing of the soul journey. With grace, beauty, and fierceness, Mary invites sojourners to discover their unique gifts and to bring them into world – to feed Life itself. Mary’s work is deeply informed by her love for the Colorado River Basin and it’s imperiled waters and spirit. 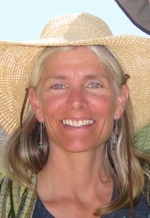 She is a mother, river-runner, front yard gardener and tends a flock of hens in her backyard in Boulder, CO.
Mary incorporates her training and experience in Hakomi, somatic psychotherapy, trauma work, and creative movement into her guiding. She leads Animas programs, her own locally based soul programs and mentors individuals, near and far, on their soul journeys. 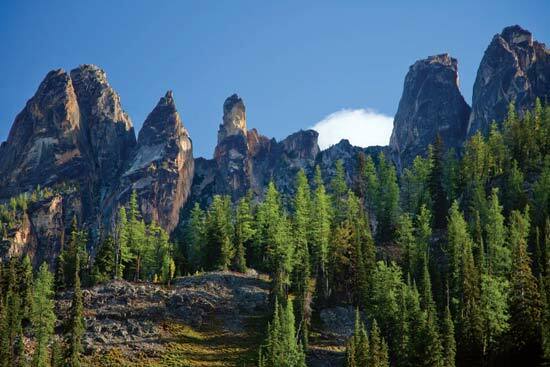 The Okanogan National Forest is located in northern Washington and is comprised of 1,499,870 acres. It touches Canada on the north, North Cascades National Park on the west and Colville National Forest on the east. Between the gentle profile of the ancient mountains of eastern Washington and the rugged towering peaks of the newer Cascade mountains near the Pacific Ocean, are the Okanogan and Methow and Twisp River valleys. The Okanogan National Forest (NF), lining these valleys, offers lots of recreation, particularly trails and back country opportunities, with nearby developed campgrounds for extended stays. One feature of the Okanogan NF, perhaps known best to the locals, is the amount of sun it receives. While winters are bright, with crisp temperatures, summer is also sunny but dry and can be very warm. Such weather is a pleasant reward for visitors from the cool, foggy Pacific coast.